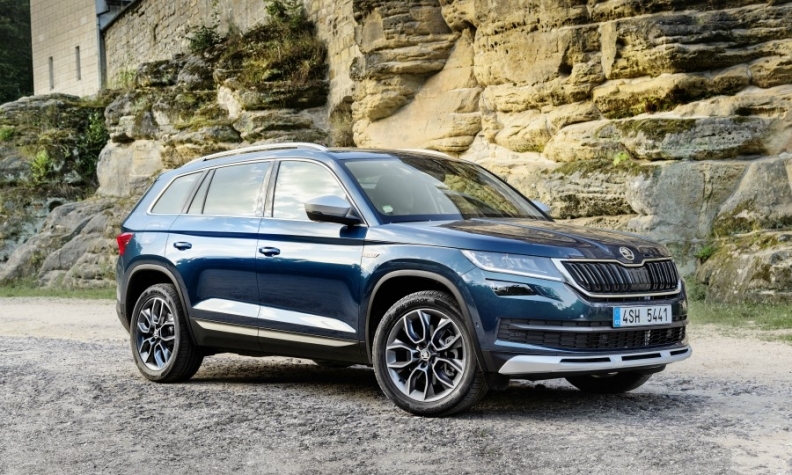 Skoda's vehicle sales in India rose 30% last year powered by demand for models such as the Kodiaq (shown). NEW DELHI -- Skoda plans to produce a small SUV in India starting in 2020, the Czech automaker said on Monday. The move is part of a 1 billion euro ($1.16 billion) investment by Skoda parent Volkswagen Group to revive sales in one of the world's fastest-growing automobile markets. VW Group also plans to expand its manufacturing unit in Aurangabad, western India, and set up a new engineering center to help raise its local market share to 5 percent by 2025. Skoda's expansion comes as VW Group embarks on a decentralization drive aimed at handing responsibility for managing different global regions to its various brands. Skoda was given responsibility for India and Russia late last month. Skoda's vehicle sales in India rose 30 percent in 2017, powered by demand for the Skoda Rapid compact family and Kodiaq SUV. "This year's sales figures show that customers are very excited about our models ... It is also true, however, that the Volkswagen Group has struggled in recent years to achieve its growth targets in India," Skoda CEO Bernhard Maier told reporters. Its new cars will use an heavily localized version of VW Group's MQB A0 vehicle platform, which will adhere to the country's stricter emission and safety standards that take effect in 2020. About 90 percent of each new Skoda vehicle will be produced locally, Maier said, adding that the Czech brand would also explore the possibility of exporting Indian-made cars. "We think VW Group may focus on technology and electric cars and try to hold on to their market share in developed markets, while Skoda may become the front runner for mass products in emerging markets," said Puneet Gupta, associate director of automotive forecasting at research firm IHS Markit. Though Skoda and India's Tata Motors scrapped a proposed partnership last August to develop cars for emerging markets, the company remains open to tie-ups, Maier said.